Widening prosperity is combining with the proliferation of sensors and extensive cloud connectivity to accelerate the pace of change in factory systems and equipment. The way in which factories operate is changing fast in the face of powerful economic and technological forces. The most agile factory equipment manufacturers will thrive in this fast-changing environment, as they develop increasingly connected and intelligent systems which help factories become more flexible and safer, while maintaining security as they extend connectivity. Increased use of automated and autonomous systems will reduce factories’ dependence on labor for repetitive or intricate manual operations. Semiconductors will be at the heart of this new generation of industrial automation equipment, providing the processing, control, and sensing functions required to operate effectively in connected environments. Analog Devices (ADI), which has always thrived at the intersection of the analog and digital worlds, has a close-up view of the technological changes that new factory automation equipment calls for. Its expertise in the fields of sensing, signal conditioning, digital signal processing, wired and wireless connectivity, and software bring it close to the challenges that its industrial customers face, enabling it to develop application- oriented solutions that accelerate OEMs’ time to market. ADI’s goal is to help customers innovate through technology and be prepared for whatever the future brings, while continuing to support legacy systems by providing guaranteed long-term availability of industrial parts. AI(Artificial Intelligence) and smart factory. Abstract mixed media. What the future brings is profound disruption, which has its roots in a welcome trend: the global spread of prosperity. This century has seen a notable rise in disposable incomes in parts of the world that have traditionally been regarded as developing countries. As a result, demand for manufactured goods is growing globally, putting pressure on manufacturers to expand production while supplying an increasingly diverse set of product configurations, in order to satisfy regional and national variations in demand. At the same time, the global growth in prosperity is shrinking the availability of cheap, unskilled manual labor. The one-time boost that manufacturers have gained in the past 30 years from offshoring production to low cost locations such as China is evaporating, as wages in these locations rise, and the workforce, now increasingly well-educated, loses its appetite for performing repetitive manual operations for low pay. In the future, manufacturers will be seeking to increase competitiveness by deploying automation technology rather than moving to a new low cost location. New technological capabilities are also helping manufacturers gain additional value from expenditure on factory automation equipment. A proliferation of miniature, high performance semiconductor sensors alongside pervasive connectedness are creating a deluge of data on machine and process performance. There is now more potential than ever for rich, new applications of data analytics, such as machine health monitoring and preventive maintenance. At the same time, the increasing use of programmable hardware and software-defined electronics functions enables rapid reconfigurations of factory processes and tools. The factory of tomorrow, then, will be more agile and responsive to demand, more automated, and more reliable. It will require fewer human operators and will face less disruption due to unplanned maintenance. So which technologies in the analog and digital semiconductor worlds are going to enable this new model of factory automation? MEMS sensor technology is enabling the development of new sensor types that are small, robust, and able to precisely measure vibration and motion. For instance, low noise, wide-bandwidth accelerometers offer the high precision and accuracy required to identify subtle changes in the vibration signature of a machine. Coupled with sensor analytics software, these devices enable equipment operators to pinpoint the source of a potential failure long before it occurs and apply preventive maintenance measures in good time. Machine health monitoring is an application that is not confined to conventional factory settings. Mobile or remote industrial equipment may use a wireless connection to report diagnostic information and operating status to a central controller. Running on battery power or intermittent power sources such as solar energy, this kind of application requires a very low power sensing solution. The proliferation of sensors throughout factories and process plants is generating vast flows of real-time data. Legacy communication protocols between sensor nodes and PLCs, such as 4 mA to 20 mA control loops, are giving way to ultrafast industrial variants of the Ethernet protocol, enabling increasing integration of operational technology (OT) infrastructure in the factory with information technology (IT) in the enterprise. In responding to this new demand for high speed data transfer in the factory, OEMs need to future-proof their system implementations, so that they support not only industrial Ethernet protocols in use today, but also the emerging time-sensitive networking (TSN) variant of Ethernet, which is likely to become the standard wired networking technology for real- time industrial communications. To support this transition, ADI provides an Ethernet platform which enables systems to swap from one Ethernet protocol to another without the need for hardware redesign. Robust, wireless sensor network technologies are also required for connecting sensor nodes in locations that are hard to reach with physical wiring. Wireless network technologies such as SmartMesh® and WirelessHART, which are designed to operate in tough IoT applications, provide a proven and high performance method of connecting industrial automation equipment without wires. Autonomous vehicles and cobots offer a huge scope for widening the application of automation in factories and warehouses. The challenge for industry is to guarantee safety, ensuring that autonomous machines are fully environment-aware. Advanced radar and lidar technologies are raising the standard of accuracy and precision in object and proximity detection and 3D mapping applications. With the growth in connectivity comes a heightened risk of attack by hackers intent on extorting payment from factory operators, or by state-sponsored attackers tasked with causing disruption to high value industrial systems. As factory operators connect more and more nodes to the cloud, they open up new entry points for hackers to exploit. 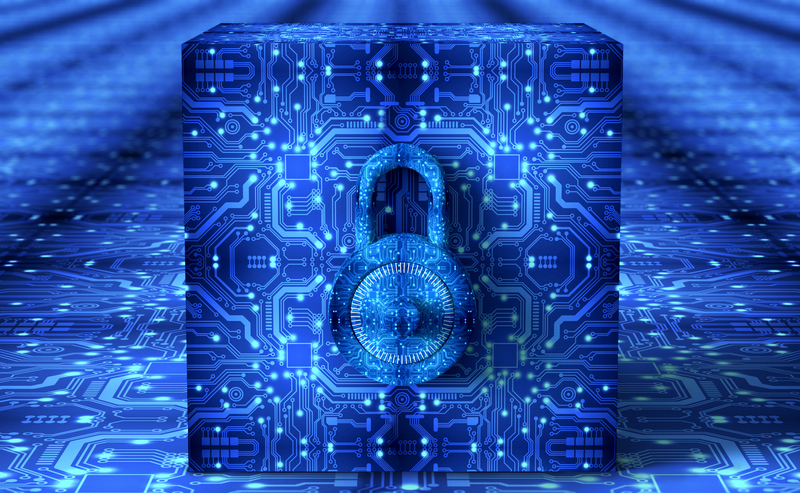 Semiconductor-based connectivity systems need robust security optimized for embedded systems. 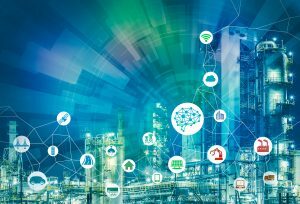 Analog Devices is developing new solutions to meet emerging security threats to industrial systems, thus helping to future-proof customers’ industrial infrastructure. The factory of the future must be capable of quick adaptation to new demands and new workflows; the key is to build flexibility into industrial automation technology products at the architecture level. One approach which can support this need for flexibility is software-defined I/O, which can be configured as analog or digital, and input or output, without altering wiring. Pushing the boundaries of today’s technology, ADI already supplies a robust and flexible industrial output solution, which enables full software configurability of the analog output to support a variety of industrial standards. The development and production of industrial automation equipment is becoming an increasingly high tech undertaking, driven by the need to meet end user demand for higher throughput, more configurability, safer operation, and more cloud integration. At the same time, pressure to get to market quickly with new, more sophisticated designs continues to intensify. Analog Devices’ response is to provide customers with an integrated offering, providing market-oriented solutions for applications including, among others, machine health monitoring, high speed connectivity, and safety and security systems. It will do so by combining analog, mixed- signal, and digital components with firmware and software to solve the most pressing development problems that its customers face, enabling them to respond rapidly and effectively to the intensifying technological and economic challenges of today and tomorrow. Brendan O’Dowd has over 30 years of experience in the industry working for companies like Tellabs, Apple, and Analog Devices. He is currently the general manager of Analog Devices industrial automation business. He can be reached at brendan.odowd@analog.com.